This amazing rifle target is hands-down the best EZ2C sight in target period. 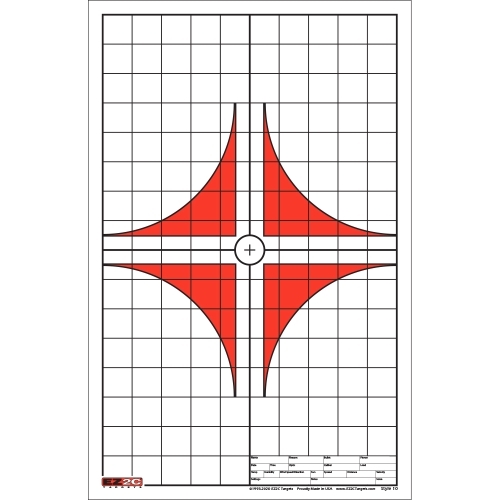 Developed by Tom Gregory over 25 years ago, this unique design complements your scope's natural crosshairs. Hit the 1" bulls-eye centered on a 10" x 16" grid. 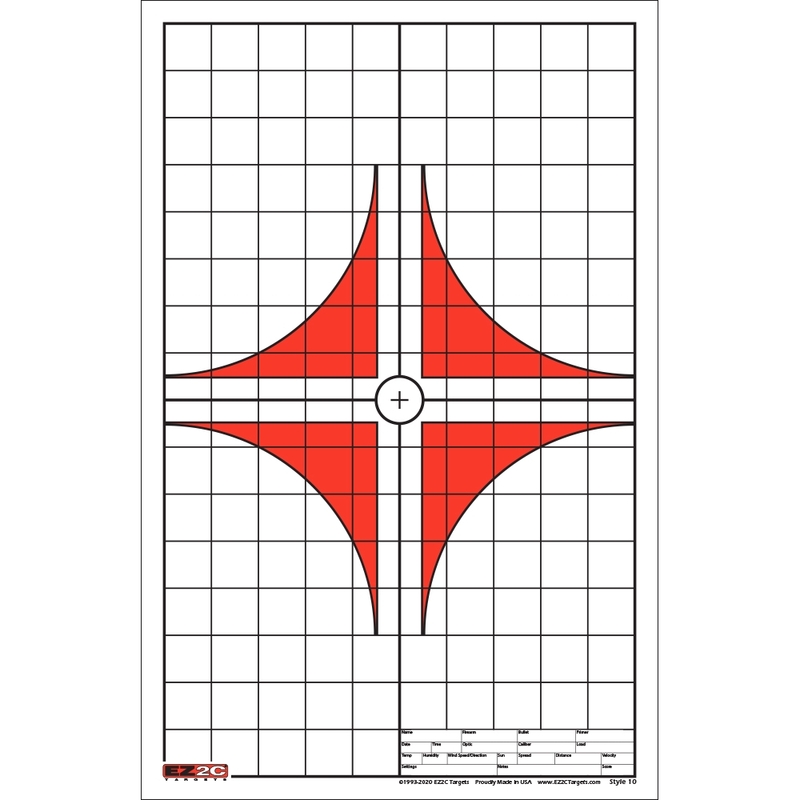 Allow the thickened vertical and horizontal center lines to lay on your crosshairs. See the EZ2C Red in each quadrant in your scope, fire the perfect shot every time. Targets are on 11" x 17" High-Quality Bright White Paper. They are Conveniently Packaged with 40 Paper Targets per Pad.